Ewing Kauffman became the owner of the new American League franchise in Kansas City on January 11, 1968. The franchise was eventually known as the Royals. With the departure of the A’s for Oakland, the pharmaceutical entrepreneur became a key force in bringing a lasting MLB club to KC. It’s been nearly two years since I first wrote about Pat Venditte, who at the time was a switch-pitcher in the Yankees organization. 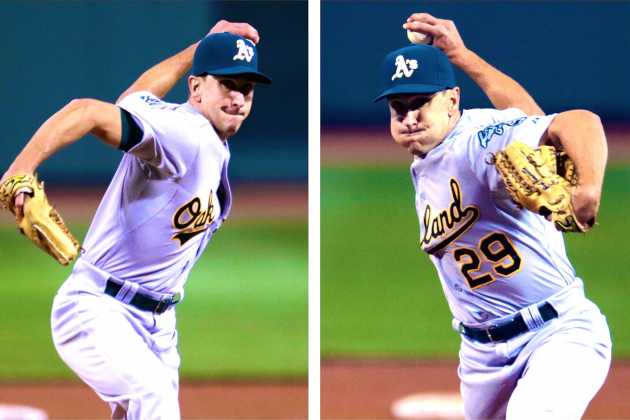 Last night, Venditte made his Major League debut with the Oakland A’s, as they faced the Boston Red Sox at Fenway Park. That’s not a bad conundrum to have, in the grand scheme of things. To be a young pitcher making history in this manner, and having the opportunity to do it at Fenway? Can’t complain about that! Pat Venditte became first MLB player to record an out as LHP and RHP in same inning since Greg Harris did so for Expos on Sept. 28, 1995.